There are Twins veterans that should not have made the team. Duensing and Stauffer showed nothing, and Nunez can’t play defense. 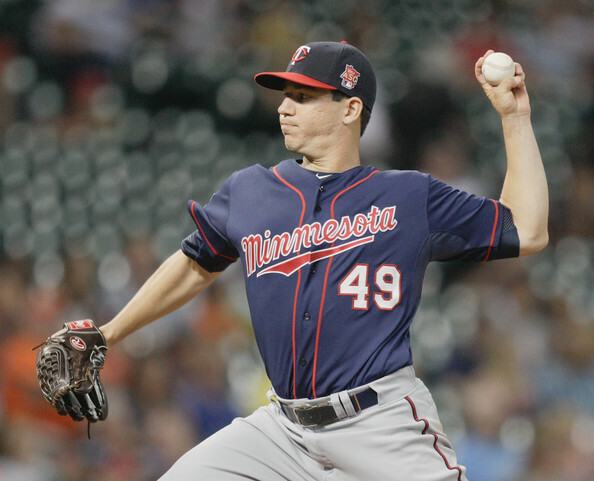 However, Boyer and Graham were the two best relief pitchers the Twins had this spring. Pelfrey was probably the best starter, and his only relief appearance turned out pretty good too. From where I sit, Ryan has created a decent bullpen again, from scraps and leftovers. Based on spring training performance, the guy I was sorry to see sent down was Aaron Thompson, not Michael Tonkin. As for CF, Schafer and Robinson outplayed Hicks and Rosario. I’m not quite sure what your beef is. The Twins chose performance over upside. The basis of your comment (“the Twins chose performance over upside”) seems to be that spring training performances–10 innings for pitchers or 35 at-bats for hitters–are somehow meaningful. I reject that premise. Those are tiny, random samples of exhibition games that prove, year after year, to mean very little. I understand that some of the younger players were not ready, however, however, how can this team not have a better plan B for CF. At the beginning of he off season, I was a big fan of adding Colby Rasmus. He ended up signing with Houston for about 8 mil. For more money, they signed Torii Hunter who cannot play CF (or any OF that well) and who is 10 years older. If you are going to add replacement level vets, at least add them with some versatility in their skill set. A whole summer of watching Jeff Spicoli, er Colby Rasmus play would have been torture. He has some talent, but the flaws and bad body language overwhelm the talent, and at $8 mil, I’d rather watch Aaron Hicks, and I don’t want to watch Aaron Hicks…. Using that logic, you could pick the opening day roster in advance of spring training. You not only could, but, with a few exceptions, you probably should. Agreed on the small sample size but Dave isn’t totally wrong. I understand why the Twins didn’t make Rosario the starter (needs way more time in high minors) and I get that they didn’t want to hand Hicks the job since he’s done nothing to earn it. I think the part that AG is right on is why Hicks isn’t the other half of the platoon. He’d be a great late inning defensive sub and they could throw him some ABs against righties to keep him working on that. He’s likely a 4th outfielder anyways at this point. Hey Aaron, I share your frustration on a lot of these moves. I also agree that one or two of them would have been palatable but collectively they are quite disappointing. I think the outfield situation is the worst, I’m not looking forward to trotting one of Schafer and Robinson out there every day. Tim Stauffer and Blaine Boyer don’t make sense to me, any combination of Tonkin, Meyer or May would have been much prefered. I think the pitching rotation is a little more understandable. I don’t mind seeing what Milone looks like for 10 or so starts. His career FIP is 4.21, which is what the White Sox starting pitchers collectively produced last year. If he’s OK maybe a contender needs a 5th starter and is willing to toss us a B/C prospect for him or something. I don’t really like that Pelfrey is on the 25 man roster and there’s no trading his contract, but I’m mildly interested to see what he can do out of the ‘pen. Regardless, hopefully the 25 man roster looks considerably younger (and more exciting) by the All-Star break… it’s been a long rebuild. for a team looking for a power arm with the “upside” that transitioning a mediocre starter to a relief role can have. Not saying it will happen, just that it could. The Shane Robinson thing bothers me more than anything this team has done since Jason Bartlett because it just such an obviously horrible decision and they act with this air of disdain about it like we’re the idiots. Aaron Hicks for all his faults actually hits LH pitching decently. He hit .267 last year and is a career just below .250 hitter against LH. Shaffer is horrible against LH pitching as is Robinson (.220 career). So how do they plan to platoon two guys who are both awful at hitting lefties?? It honestly leads me to think this team believes the definition of platoon is just the act of playing two different guys at the same position randomly not that you fit a players skill set to maximize the result for the better by doing this. 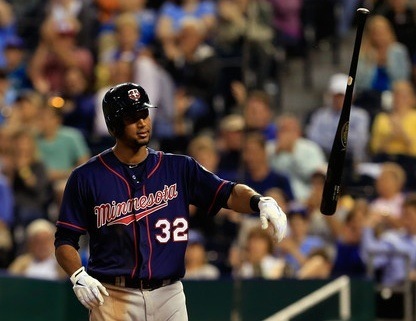 The problem with the Twins approach to rebuilding (besides being 4 years too late) is that sometimes the prospects, like Aaron Hicks, do not work out. If you delay bringing your prospects to the major league level, it just delays the vetting of these players at the major league level. In 1982 the TWins began their rebuilding that ultimately delivered two World Series championships. But in the original script Lenny Faedo was the starting shortstop and Jim Eisenreich the centerfielder. It took 5 years to go from 100 losses to WS Champs, but there was experiementing going on the entire time. Puckett eventually replaced Eisenreich in 1984 and Gagne replaced Faedo in 1985. You may counter that they tried guys liek Ron Washington and Bobby Mitchell in those positons too. But that was only to stop gap the failed propsects. Move them into the lineup. FInd out if they can play. If they can, like Brunansky (21 years old in 1982), Hrbek (22 years old in 1982), Gaetti (23), Frank Viola (22) years then they will be core players. If they can’t find replacements. Look at the Twins 1982 roster and their ages and minor league experiences and consider WHERE they would be in the current Twins organization??? Hrbek would probably be still in A+ Ft Myers, and promoted step by step to AAA in 1984 when in fact Hrbek was the MVP runner up of that season. It is ridiculous that high level prospects like SAno and Buxton and Meyer are still in the minors instead of getting the seasoning they need to develop. Sano and Buxton are very different cases from Meyer (and May). Meyer and May are borderline not eligible for prospect status (by whatever definition you want to use) because of their age: both are 25 years old. They should be up on the MLB roster or we shouldn’t be calling them prospects. Buxton and Sano might be in the lineup now if last season hadn’t gone the way it had for them, and even if they had been they would have been extraordinarily young for MLB rookies. Buxton and Sano (21 years old) are both still very young compared to other would be rookies, add to that neither one really played last year and I think most people would agree that some time in the minors would serve them well. Buxton has only 1 game above A+ ball, and Sano struck out 30% of the time in his only stint at AA so far. Lets pump the breaks on those two a little. But yes a ‘prospect’ who isn’t MLB ready by age 25 or 26, isn’t really a prospect. They’re a guy who needs to reach the peak of their ability to even break the 25 man roster of a pretty bad team. You’ve hit the proverbial nail on the head. Unless you give young players time at the ML level, you will never know if they can be a part of the future. And struggling in your first exposure to MLB is part of the growth process most guys need to go through. The Twins seem to act as though any struggles by young players are a sign of failure and cannot be tolerated. 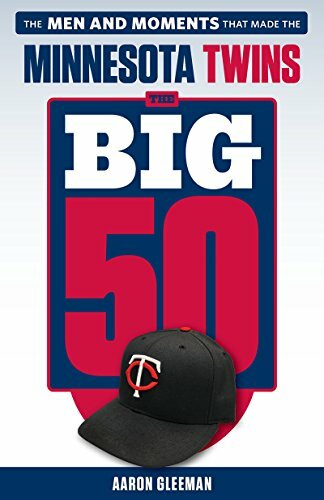 The cores of the WS champ teams and 2000’s playoff squads were promoted through the farm system much more aggressively than the Twins have handled their young players lately. So while Hicks has indeed been bad, why punish him for it and then give the job to two guys who’ve been just as bad but with a lot longer track record of it and far less potential upside? Pro tip: only one of those is good. Free Aaron Hicks! … as long as a lefty is on the mound. Robinson probably got the benefit of the doubt by being the Cardinals’ backup OF for the majority of the last few seasons. Also, ex Cardinal OFs rate well on the secondary market for some reason. I assume Colby Rasmus will always find a home somewhere. I can only imagine that MLB GMs always assume that any OF who played for the Cardinals must be of quality. Most importantly, In both cases, Schafer and Robinson have been described as scrappy. Maybe that’s what the twins were going for…IDK. Just like everyone else, the Twins have types. Schafer and Robinson are the Twins’ type. Hence the reason I truly hate the Twins’ front office. None of what you said actually makes any real sense. I can only imagine that was the reasoning used by the twins management. Pattern behavior on their part. They probably have a chart of players whom they consider scrappy “baseball guys”. When you put it in those terms, Aaron, I’m with you. Rosario and Hicks being the outfield platoon, learning from Molitor and Bruno and Torii. Meyer and May taking the place of Milone and Pelfrey. 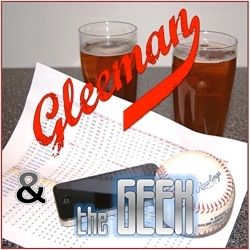 If one falters, the other moves from the bullpen to the rotation, or vice versa. And find room for Achter while you are at it…throwing two million at Stauffer. We also have Escobar and his fabulous spring without a position to play. And at this point, might as well give Beresford a shot (no, not Bernier) than drag out Nunez again. None of those mentions would hurt the Twins anymore in the short or long run as the current crop of roster filler. It’s too bad they are on the hook for $12 million for all that fodder. Hicks should be a prime example of why you don’t want to move guys up too fast. Oh, and he’s in Rochester not because he’s worse than Robinson, but because he doesn’t appear able to take his job seriously.